Min-Yu Huang, a co-leader of FiWIN project on mm-wave beamforming, is to receive Marconi Society Young Scholar Award and SSCS Predoctoral Achievement Award. Congratulations! Rui Zhang, a PhD student and project leader of FiWIN Center, received the 2019 Corning Fellowship! Congratulations! Congratulations to Jiale He of FiWIN Center, who was the finalist for Corning Best Student Paper Competitions in OFC 2019! 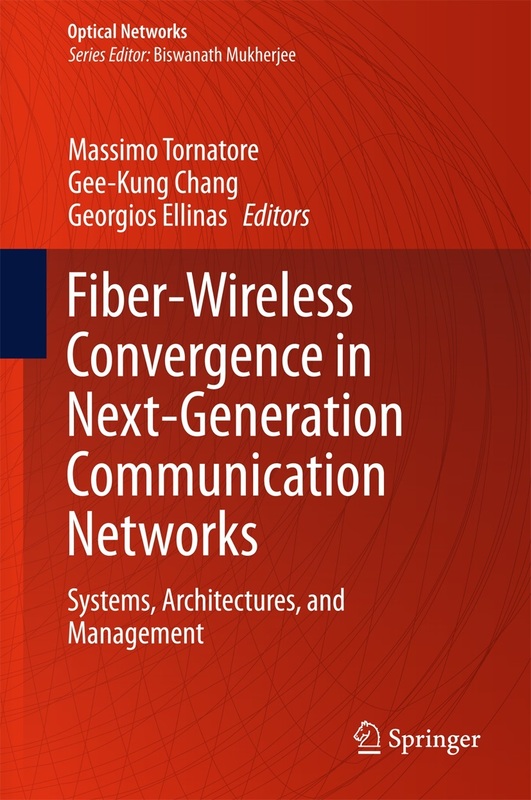 Stories of innovations in future broadband access - check out our new book "Fiber-Wireless Convergence in Next-Generation Communication Networks" by Massimo Tornatore, Gee-Kung Chang, and Georgios Ellinas, Springer 2017. Los Angeles, CA, March 22nd - Prof. Gee-Kung Chang successfully held the OFC 2017 Symposium: What is Driving 5G and How Can Optics Help? Congratulations to Dr. Jing Wang, who was nominated for Corning Best Student Paper Competitions in OFC 2016 and OFC 2017! Mountain View, CA, August 31, 2016, Junwen Zhang, a post-doctoral research fellow at the Georgia Institute of Technology's School of Electrical and Computer Engineering, has been selected to receive the 2016 Marconi Society Paul Baran Young Scholar Award. The 28-year-old researcher will be honored at the Computer History Museum in Mountain View, CA on November 2, 2016. In a world where internet traffic is growing exponentially, Zhang focuses on advancements that will deliver high speed, high spectral efficiency, better quality and more responsive services to businesses and consumers around the world. 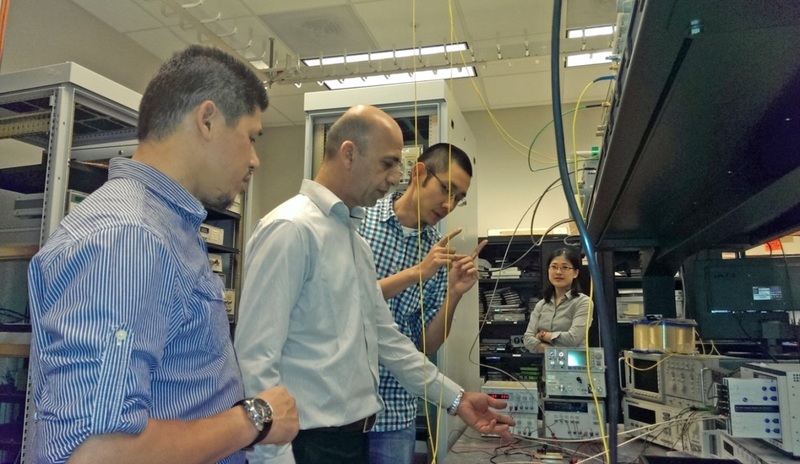 Zhang has been developing next generation integrated fiber-wireless access technologies to deliver the increased network capacity and expanded coverage areas that emerging wireless standards like 5G will require. His contributions include achieving record-breaking transmission speed in 400Gbps transport systems and developing a robust wireless link system that will deliver stable data throughput in diverse weather environments. 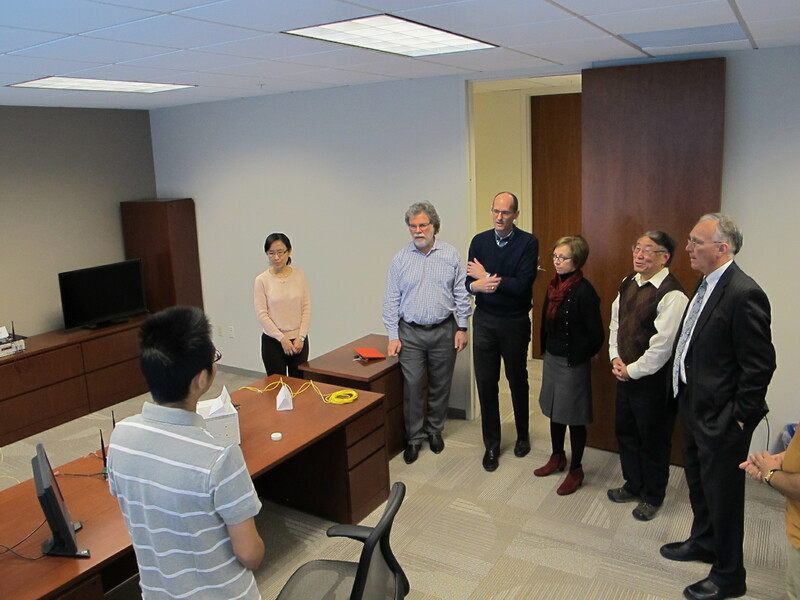 Dr. Zhang has distinguished himself with a unique ability to identify research challenges and create innovative solutions through a rigorous thought process. His work will support advanced communications systems that provide high-speed services and enhance network quality. 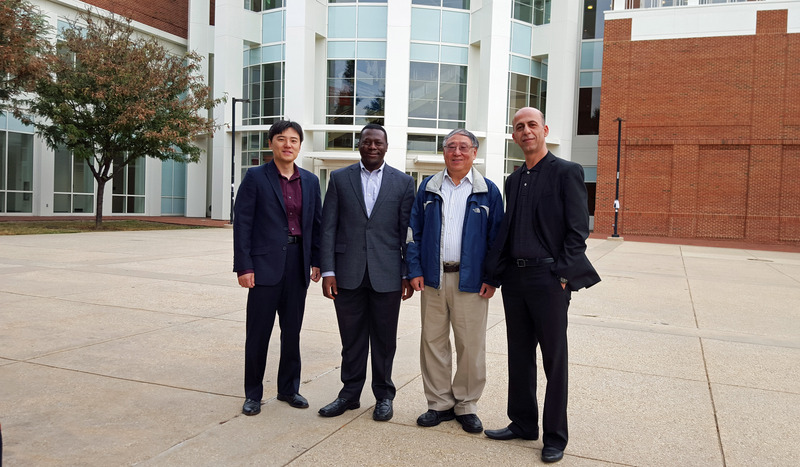 "He is highly productive, publishing more than 130 peer-reviewed technical papers in the last eight years in prestigious journals and conferences," said Zhang's nominator, Dr. Gee-Kung Chang, Georgia Research Alliance and the Byers Eminent Scholar Chair Professor in Optical Networking at Georgia Tech's School of Electrical and Computer Engineering. 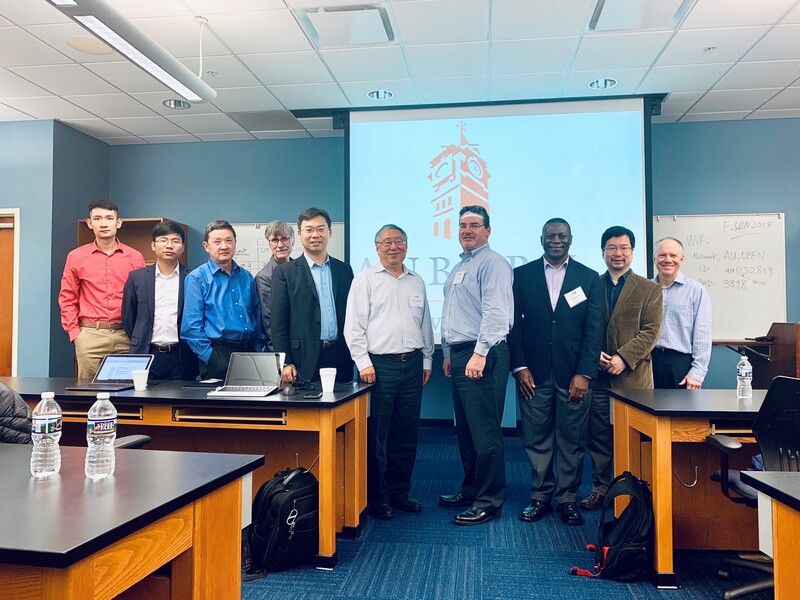 As a 5G Wireless Research Lab integrator and manager of Georgia Tech, NSF-sponsored Industry-University Cooperative Research Center for Fiber-Wireless Integration and Networking (FiWIN), Zhang collaborates closely with industry members to create projects that are tightly matched with commercial needs. Zhang has co-authored six patent applications. One of his discoveries to improve spectrum efficiency has been embraced by a FiWIN industry member and proposed as a 400G optical transmission standard. "I choose to work on these issues because many industrial companies are talking about the challenges of 5G and we are solving key 5G problems that can only be accomplished through fiber-wireless integrated networks. Our work shapes the future of the telecom network and it is very relevant to industry needs," said Zhang. "I am honored to receive this award because Mr. Marconi was the inventor of radio and he demonstrated the first trans-Atlantic wireless transmission more than a century ago. This was a precursor to 5G wireless communications. The prestigious Paul Baran Young Scholar award bestowed upon me by experts in the field encourages me to continue pushing the boundaries in fiber-wireless networking technology," remarked Zhang. Young Scholar candidates are nominated by their academic advisors. Winners are selected by an international panel comprised of engineers from leading universities and companies, and receive a $4000 prize plus expenses to attend the annual awards event. Three other Young Scholars were also selected this year. Zhang will receive his award at the same event where Brad Parkinson, regarded as the "father of GPS", will be honored with the $100,000 Marconi Prize. 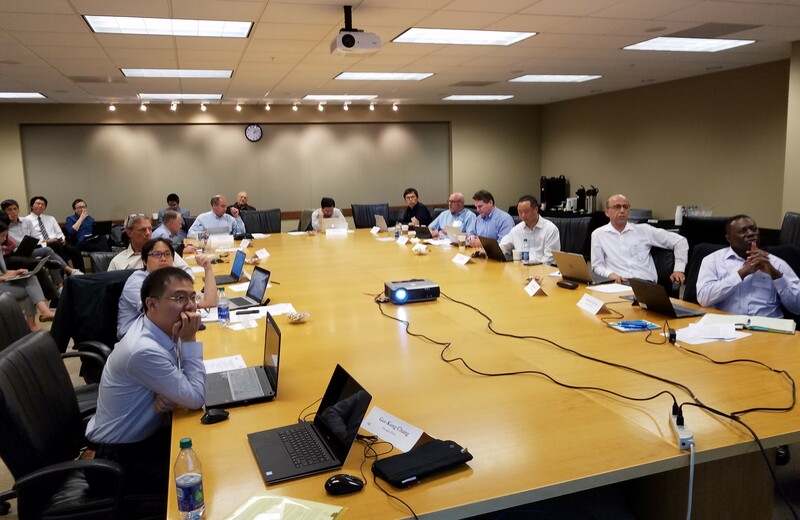 2018 Spring I/UCRC FiWIN Meeting at Georgia Tech! From right to left: C. Michael Cassidy, President and CEO of Georgia Research Alliance; Gee-Kung Chang, Professor at Geaogia Tech ECE; Susan G. Shows, Senior Vice President of Georgia Research Alliance; Steven W. McLaughlin, School Chair of Georgia Tech ECE; Ron Hutchins, Chief Technology Officer, Office of Information Technology, Georgia Tech; Xiaoli Ma, Professor at Georgia Tech ECE; and Feng Lu, PhD student; The photo shows that the guests are visting LTE and 5G mobile data transmission lab to see the advanced CoMP technology demonstration. As part of international recognition of technical excellence of TM R&D, a subsidiary of Telekom Malaysia has been selected by the Industry Advisory Board (IAB) of NSF Industry/University Cooperative Research Center for Optical Wireless Applications (COWA) to provide technical guidance as an Industry Mentor to a new Georgia Tech project approved by IAB, titled "Coordinated Multipoint (CoMP) Operation for Next-Generation All-band Cloud Radio Access Network". A photo below shows that COWA IAB representatives, Dr. Sufian Mitani and Romli Mohamad from TM R&D Access Technology, are working in the Cloud Radio Access Technology Lab of Georgia Tech on May 14, 2014. 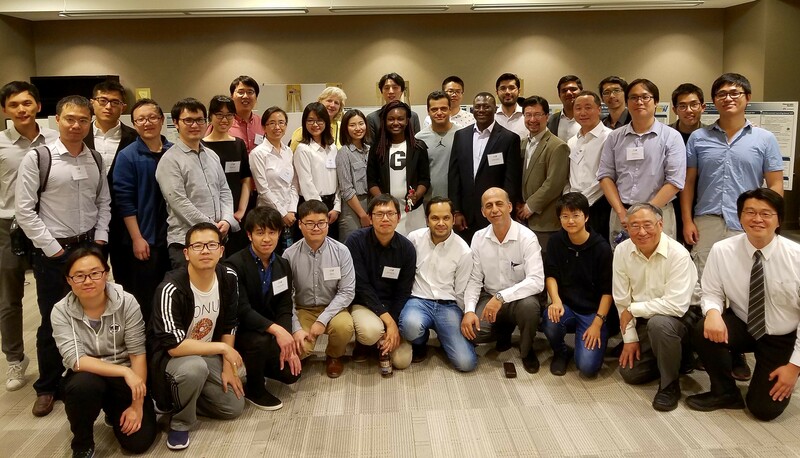 Through their industry perspectives and broad experiences in telecom, Georgia Tech Ph.D. graduate students and researchers were able to demonstrate advanced CoMP technologies through a deployed radio-over-fiber (RoF) access network testbed for LTE and 5G mobile data networking applications. It has generated profound impacts for integrating both people-to-people and machine-to-machine communications platform for billions of data users in the era of Internet of Things. From left, Romli Mohamad, Dr. Sufian Mitani, Lin Cheng and Marie Shinotsuka.